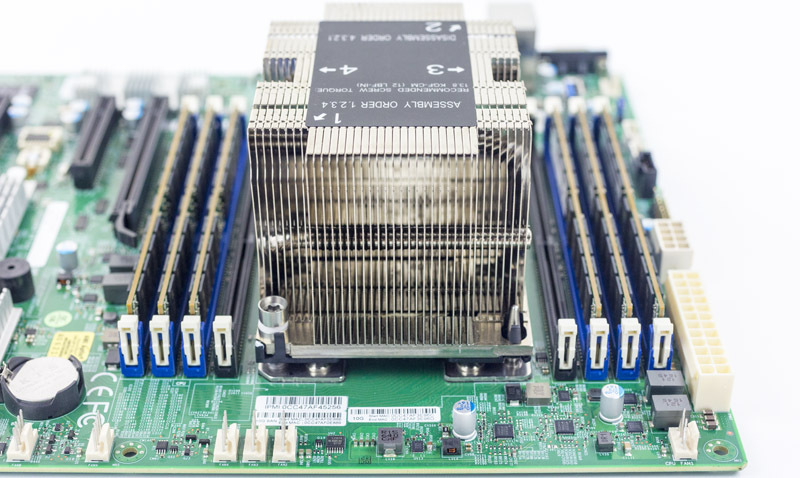 Our Intel Xeon Gold 6130 benchmark and review piece has been a long time coming. You may have seen some of the data pop up in other reviews. This is the last CPU in the Intel Xeon Gold 613x series that we had to review. It is certainly an interesting SKU combining solid core count (16 cores) with mid-range clock speeds. At the same time, it is a clear jump over the Intel Xeon Gold 5120 series in some areas which we are going to highlight. Key stats for the Intel Xeon Gold 6130: 16 cores / 32 threads, 2.1GHz base and 3.7GHz turbo with 22MB L3 cache. The CPU features a 125W TDP. Here is the ARK page with the feature set. Looking to comparables from the previous generation, the closest SKU is the Intel Xeon E5-2683 V4. One gets a new set of features with the new SKU and a greatly enhanced single thread performance capability with this generation. Let us cover our test configuration before getting into the details of our Intel Xeon Gold 6130 review. What is the impact on the price/ performance ratio of my applications? Next, we are going to look at the Intel Xeon Gold 6130 benchmarks. After that, we are going to discuss power consumption as well as market positioning before concluding with our final thoughts. When 256 GB of RAM is enough the Threadripper becomes a viable option in many cases with the introduction of samsung ECC U-DIMM DDR4-2666 CL19 32 GB sticks (Samsung model number: M378A4G43MB1-CTD). There may be a very niche market for a TR server, but without RDIMM support, and single-socket only support, it is a small niche. Single socket server sales are relatively small still. AMD EPYC was also not a real competitor in the server market and we all know what going on at the moment. There is something about the bar charts here that I think could be better. When a chart has one bar per CPU, the CPU-under-test has a black bar and the others have blue bars, which is great. But, when a chart has two bars per CPU, both colors are used for every CPU, and the CPU-under-test does not stand out, and I have to scan the labels to find it. It’s kind of inconsistent. Misha, are you sure that M378A4G43MB1-CTD is ECC UDIMM? Can’t find it anywhere mentioned with ECC support. Thanks! Misha: Cool, this looks like it’s happenning at the end. Ryzen with 128GB, TR with 256GB, nice! 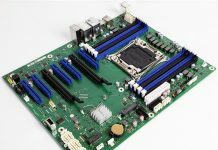 KarelG: If you want single core performance for per-core licensing(3.8 GHz all-core with a 9 cm Noctua air cooler), or a FreeNAS server or just a workstation with a lot of RAM this looks like a great option. And you also have the freedom to overclock those memory (both bandwidth and CL). Xeon-W is not going to like this. Thanks for the very nice analysis of the Xeon Gold 6130. For single CPU systems, how would Gold 6130 compare with non-scaleable options such as Xeon W-2155?